A beautiful landscape is a unique investment that improves not just your property, but your life. 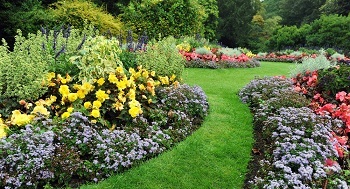 And great landscapes begin with inspiring landscape design plans. Cedar County Landscaping, Inc. is a leading landscape designer you can trust for landscape design plans that make your landscape dreams a reality. We believe that our landscape design plans should be about giving you the best possible use of your outdoors, not just about showcasing our creativity as a landscape designer. With our experience as a landscape designer, we know that a lot of time, effort and money goes into landscaping a property. Whether you hire us as a landscape designer for a new landscape or remodeling project, we deliver landscape design plans that save you valuable time and money. When we are your landscape designer, you can expect properly placed plants, imaginatively designed water features and well-constructed hardscapes & outdoor living spaces. 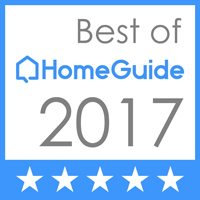 We see our success as a landscape designer in giving you a landscape that always stays beautiful and healthy with minimum upkeep and replacements. Why are Landscape Design Plans the First Step? Well-thought out landscape design plans are the first step towards building landscapes that give lasting value and pleasure to the property owners. 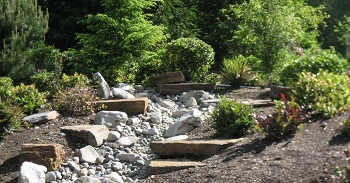 Landscape design plans are the blueprints that guide the landscape installation. Any failing in the landscape design plans can make the entire landscaping investment go to waste. The landscape designer needs to make landscape design plans with attention to the important horticultural and environmental elements affecting the landscape. Only then can you hope for a landscaping that keeps flourishing for years to come. 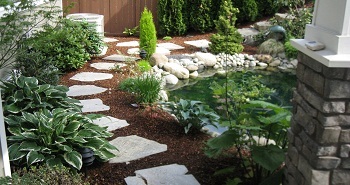 Call 425-358-2779 to get the landscape designer at Cedar County Landscaping, Inc. to make your custom landscape design plans.